The <sNation>, @<sNation>, <sCity>, <sName> those things found in texts are referring to what? I need to change it or add another one because the way PT is written it doesn’t match the way EN is written so things will not make sense if I can’t change it. What the suffixes somethingGen, somethingAcc and somethingDat mean? Would be nice to Select your own PIRATES on auto-levelled characters because as it is it resets the abilities to the minimum and you can’t use that character properly anymore as he doesn’t have the required level for the ship. woah nice work didn’t expect anything less from the great Jeffrey! Blade82 chance = 0.01; – min level = 16. Other than the Conquistador all weapons should be available, tho those pistols will be a little harder than the Schiavona to find. First, you need to know the items id, this can be done by pressing f11 and going to Installation on the right bottom side to enable the BetaTestMode then go to an unloaded town and check the items in any shop to get the ids. The chances to get past an officer at an enemy harbour are more or less 83% if you have lvl 100 in stealth, but you got need at least lvl 20 to do that as the equation is: 20 + (random number from 0 to 50) + (random number from 0 to 50 again). The Fishermans are overloading their ships and end up throwing barrels of fish on the ocean. Why there are 2 Shores of Mosquito in 2 different places? Wich one is the true Shores of Mosquito: Shore47 or Shore53? Nope, it is still bugged, in the trade GUI the price shows correctly IE: 24 to buy 17 to sell, but when one opens the box to select how much to buy it turns out the fisherman is charging 199 for the barrel and buying for only 49. The Fishing FLeet Prices are bugged, it appears for a ludicrous amount of money for the fish but for other goods its way cheaper. Where should I look to translate the game? Found some more bugs: Galleon Legero Missing some cannons and the Fifty Gunner Fourth Rater having some invisible additional ladders. 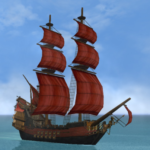 I found something strange that is possibly a bug, an English Competitor Captain had its ship raided and captured by a pirate but when I attacked that ship this puts a price on my head in the name of England even though its old captain is dead. Complete the code for the smuggling event specifically line 50 of smuggler_guards_dialog.c to check for the other 2 fencing skills.